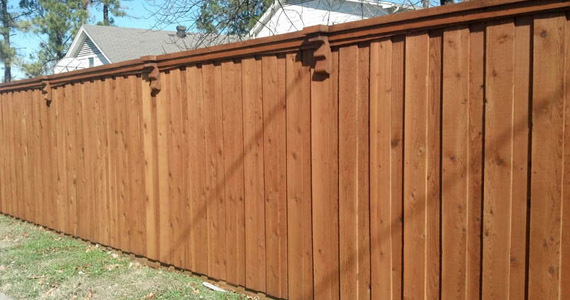 Wood fences are by far the most popular type of new fence that Dallas Fence Experts installs in the DFW Metroplex. With multiple styles to choose from, it is the perfect way to customize your wood fence to fit the style of your home. There are many advantages to choosing wood as the material for your new fence. It is more economical than iron or aluminum and if properly maintained, will withstand many years of extreme Texas weather. Let Dallas Fence Experts help you choose which wood fence will offer you the most privacy while adding value to your home. The side by side fence is our most traditional cedar wood fence. A perfect choice for simplicity and privacy. 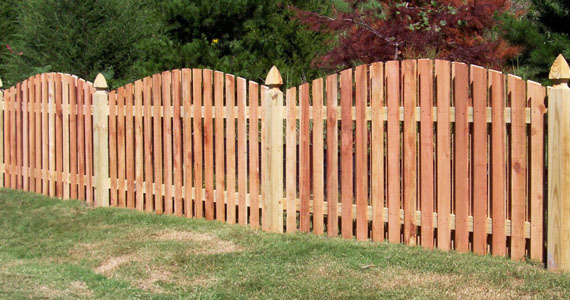 The board on board fence is one of the most popular fence choices today. 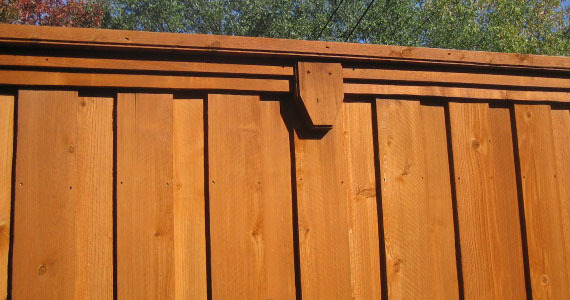 Board on Board Fences Have a Sturdy Look and Provide the Your Home With the Ultimate Privacy. The shadow box fence is a type of board on board fence. This fence has space between the pickets and offers the same look from either side of the fence. 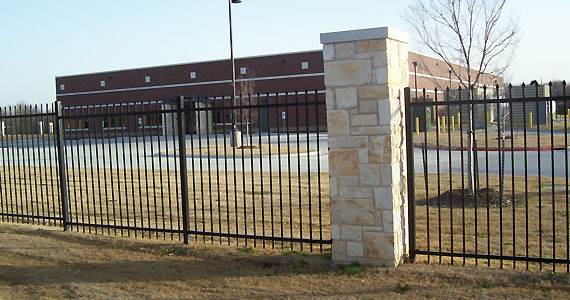 Dallas Fence Experts provides new fence design and construction services throughout the Dallas-Fort Worth Metroplex. Whether you need a new fence for your older home, or your HOA requirements have changed, a privacy fence is one of the most significant investments you can make for your home. The need for security and privacy is one of the most common concerns of our clients. We can help you choose which type of privacy fence best fits your needs and budget. 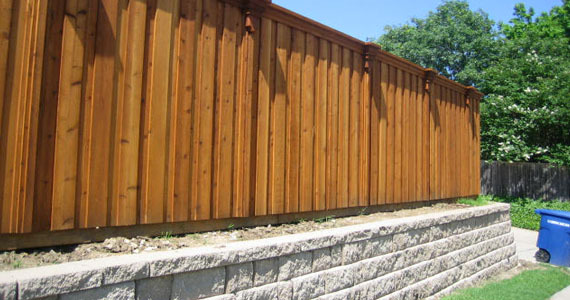 Our new wood privacy fences are usually 6′ or 8′ tall and are built in different styles pictured throughout our website. We use galvanized steel posts set at least 24″ to 28″ deep in concrete, treated rails and bottom boards, and standard or custom gates. Tip: To help keep your posts from shifting, Anthony recommends watering the soil around your posts a couple times a week during the summer. By keeping the dirt around the concrete remain moist, it helps support the posts. If you are interested in learning more about our custom wood fence building services, would like a free estimate, or have any questions, please contact us.